This year I was determined to find *THE* zucchini bread recipe. 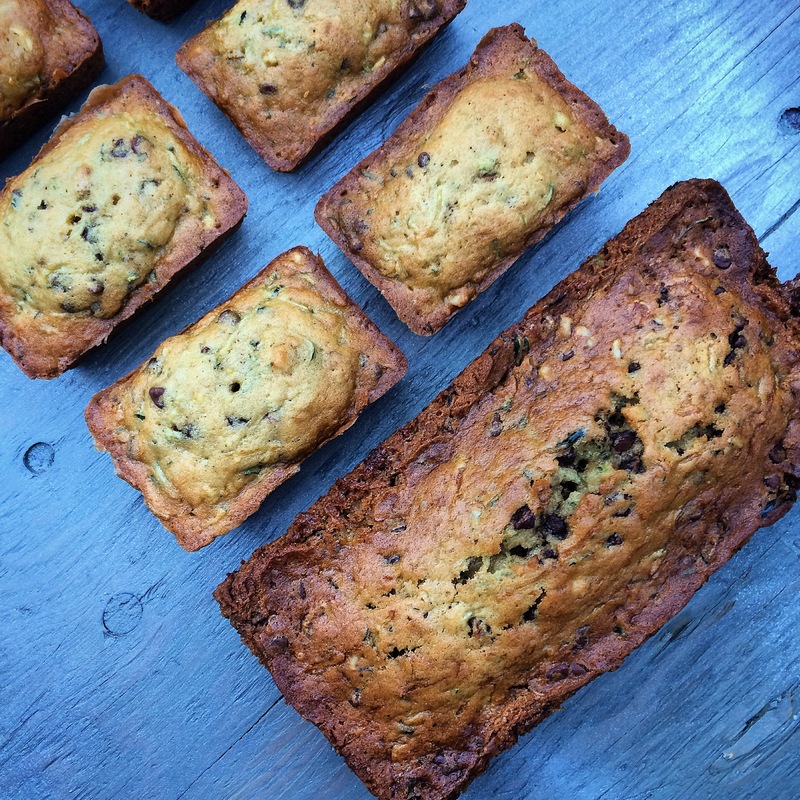 One that used loads of zucchini (4 whole cups to be exact), could make 2 loaves but also translate into muffins (or in this case, mini loaf pans), and one that would be great either on its own or with fun extras like chocolate chips or nuts. 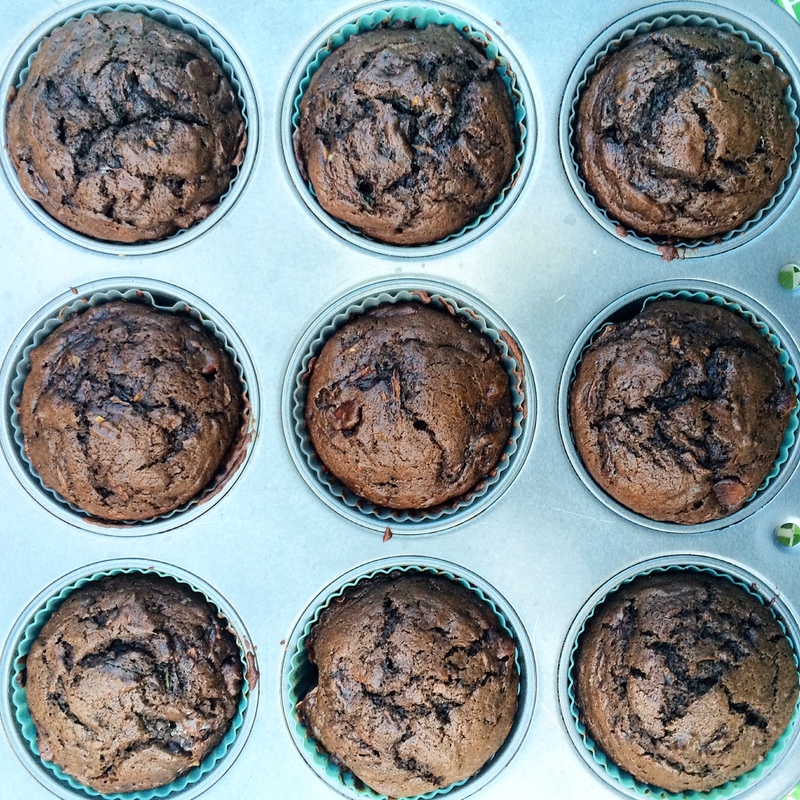 The great news is I found my recipe…and I think I like it best plain and boring, all on its own. After making this recipe several times I finally got around to taking pictures with a batch where I added chocolate chips. The great thing about this recipe is you can easily adapt it based on your current mood. It’s perfect on its own, but some great add-ins I tried were nuts, raisins, chocolate chips, and sesame seeds (all on different occasions, not in one batch). I found whole wheat flour gave it a little more substance but while flour was fine too. A note on the shredded zucchini – I shred mine, and put it in an airtight container in the refrigerator overnight. This gets some of the moisture out but not too much. You can definitely use your shredded zucchini right away, I would just make sure to blot out the excess moisture with paper towels. Preheat the oven to 350F. 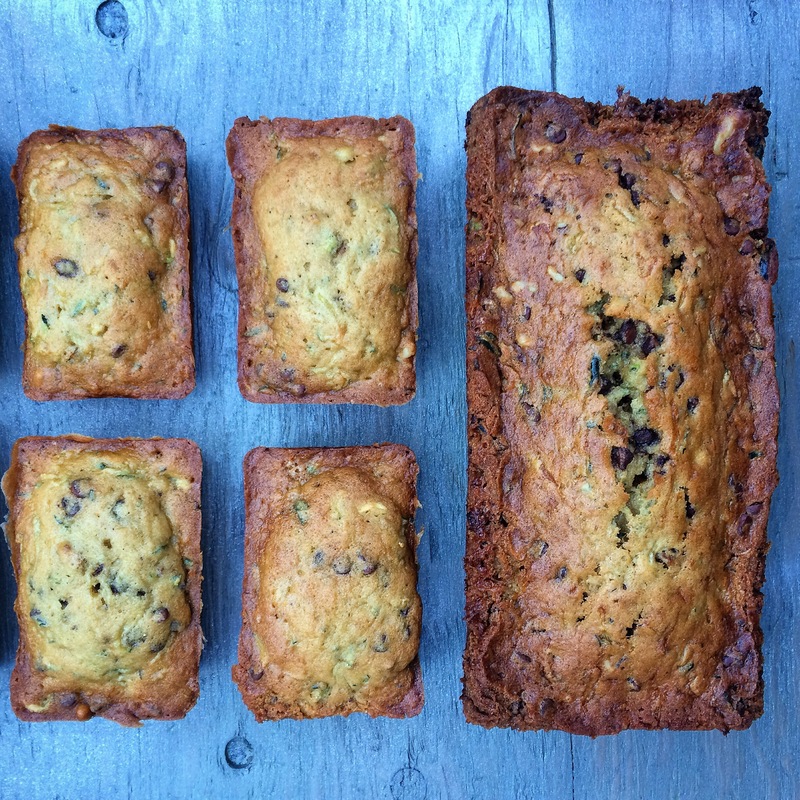 Spray 2 9×5 inch loaf pans or tins with cooking spray and set aside. Beat the butter and sugars in a stand mixer with the paddle attachment on medium speed until fluffy. Add the eggs, one at a time, beating between each addition. Add the oil and vanilla and stir to combine. Whisk together the flour, baking soda, baking powder, salt, and cinnamon in a medium bowl. Add the dry ingredients to the sugar mixture and stir together. Add the zucchini, nuts, and any additional fillings you may be using and stir. Divide the batter between the prepared pans. They will only be a little over half full. Bake until the bread springs back when lightly touched and a toothpick inserted comes out clean, about 50 minutes. Cool on a rack for 10 minutes before removing from the pan and slicing and serving. 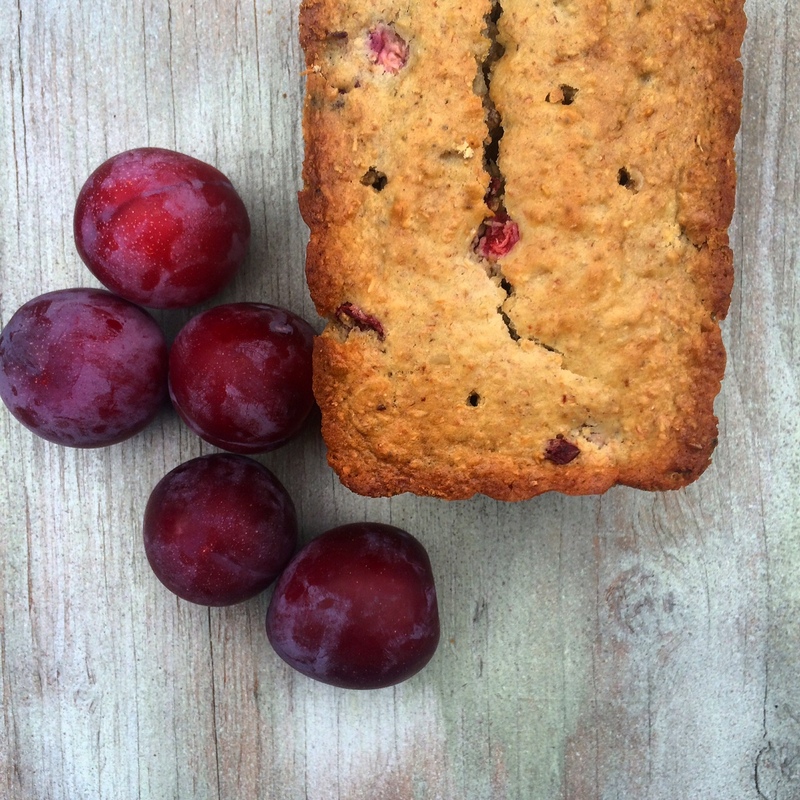 This bread freezes well and tastes better the next day! Position a rack in the center of the oven and preheat to 350 degrees F. Lightly grease and flour and 8 1/2 x 4 1/2 x 2 1/2 inch loaf pan. 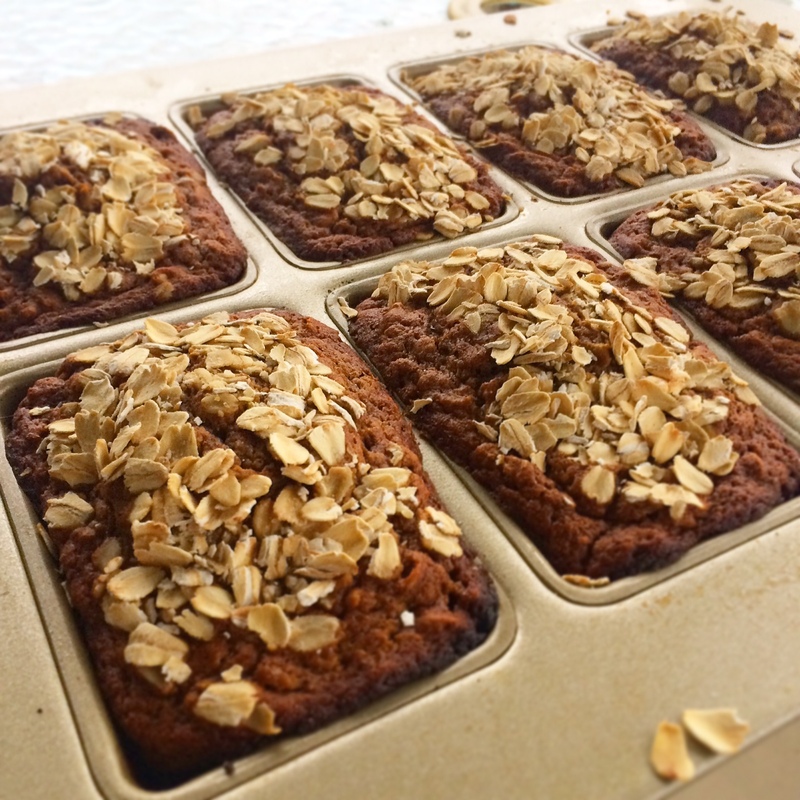 In a large bowl, blend together the flour, baking powder, baking soda, wheat bran, sugar, oats, and walnuts. 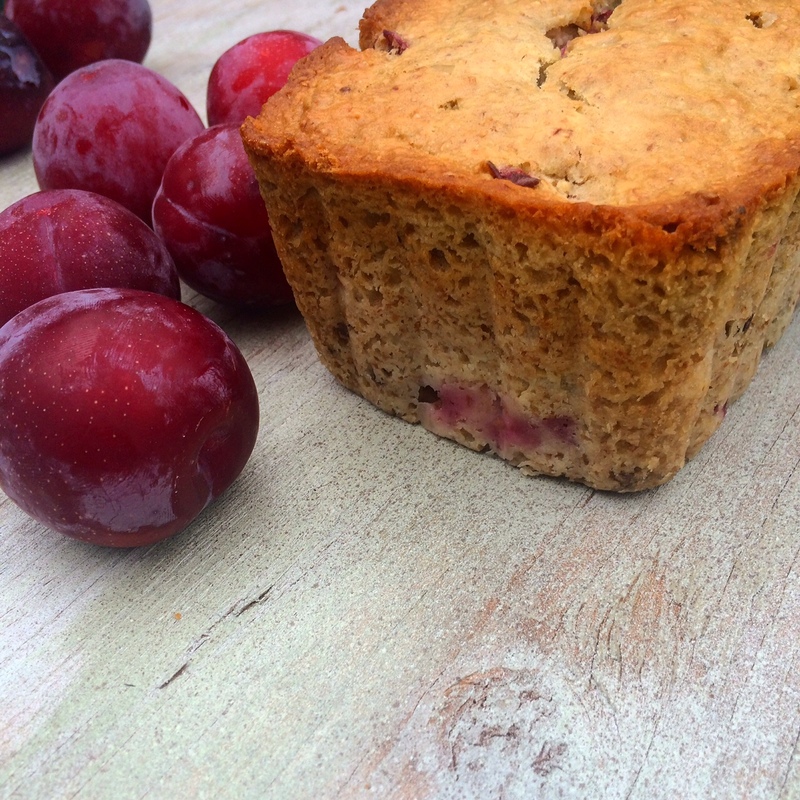 In a medium bowl, beat the egg until foamy before beating in the buttermilk, butter, and plums. Combine the two mixtures, blending until the dry ingredients are moistened. Scrape the batter into the prepared pan and bake for 35 to 40 minutes, or until a cake tester or wooden toothpick inserted into the center of the bread comes out clean and the top is a light golden color. 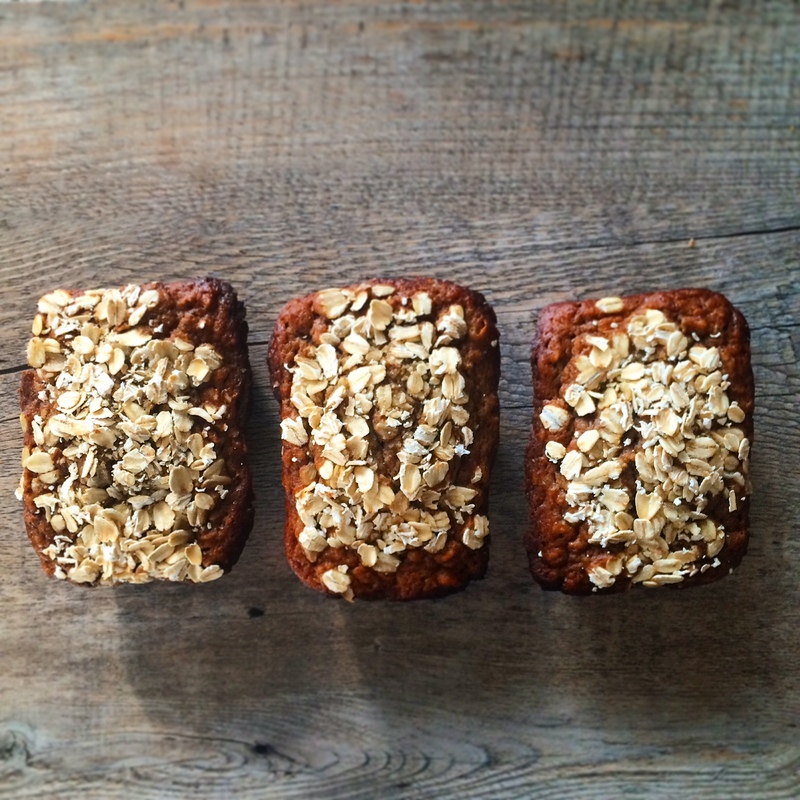 REmove from the oven and cool the pan on a wire rack for 5 to 10 minutes before removing the loaf from the pan. I’m so happy I participated in Joy the Baker’s Baking Boot Camp this year. The boot camp is long over, but the skills I learned with yeast were unforgettable! I got over my fear of making anything that you had to let rise once or twice. More than anything, I learned it just takes time and patience, not pastry chef skills. This Guinness Bread is pretty great. Sweet and savory at the same time, slathered with a little bit of Irish butter…perhaps even served with a frothy pint of Guinness? STOP. Just stop it now. 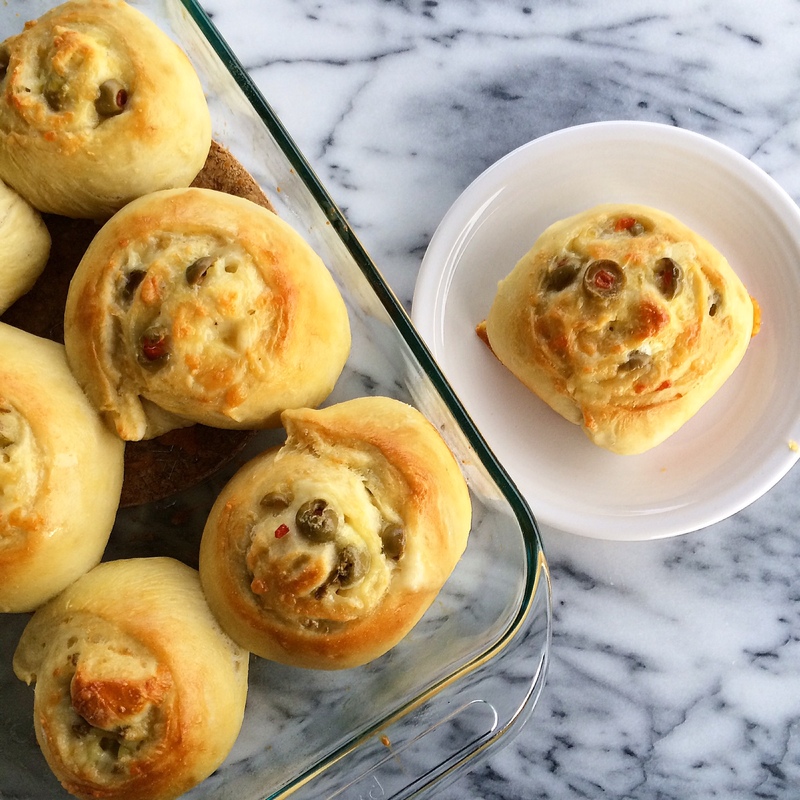 These rolls…are a triumph. From someone who loves bread but has always been terrified of actually making it at home…I just kind of can’t believe it. Yes, this recipe took time, but it wasn’t hard at all! 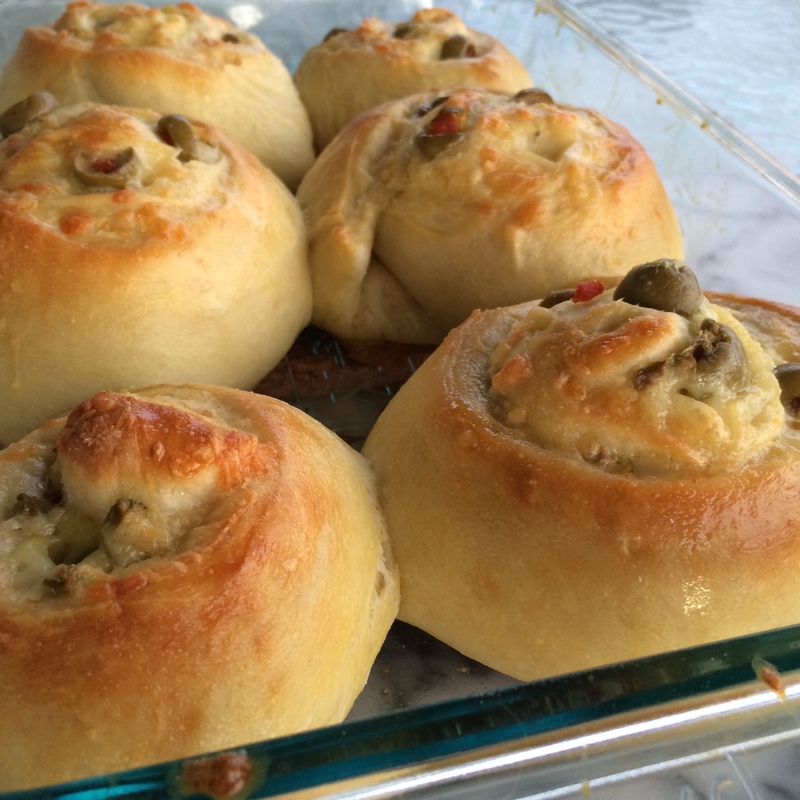 And the result was the most amazing, flavorful, and fun rolls that made my husband swoon and me just kind of sit there in disbelief of the awesomeness. 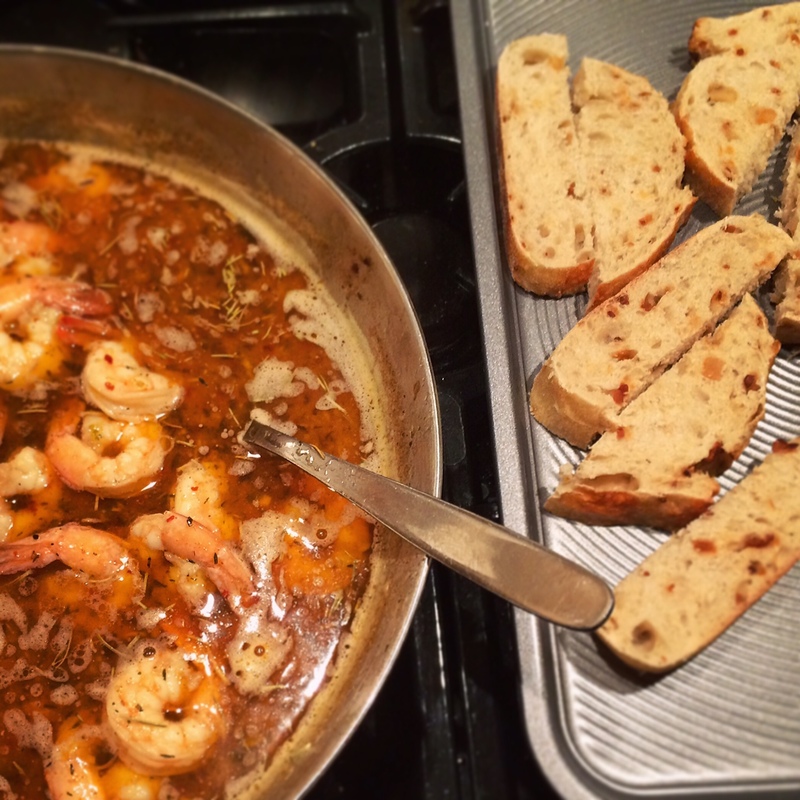 It has to be one of the best shrimp recipes on the planet. 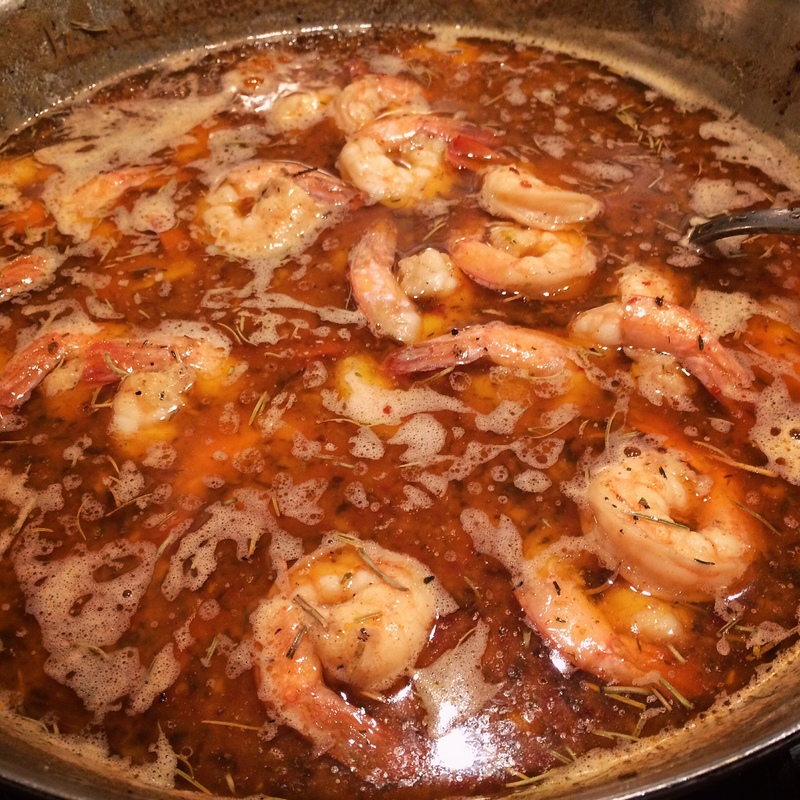 My aunt was given this recipe by a friend awhile back, and it has now become one of our families “signature recipes.” Everyone just loves it, I mean, shrimp in a hot, buttery sauce, what more could you want? The best part? It comes together super quick and easy. Served with some bread for sopping up the delicious buttery sauce is a must. Add a nice side salad and you are all set for an amazing dinner. 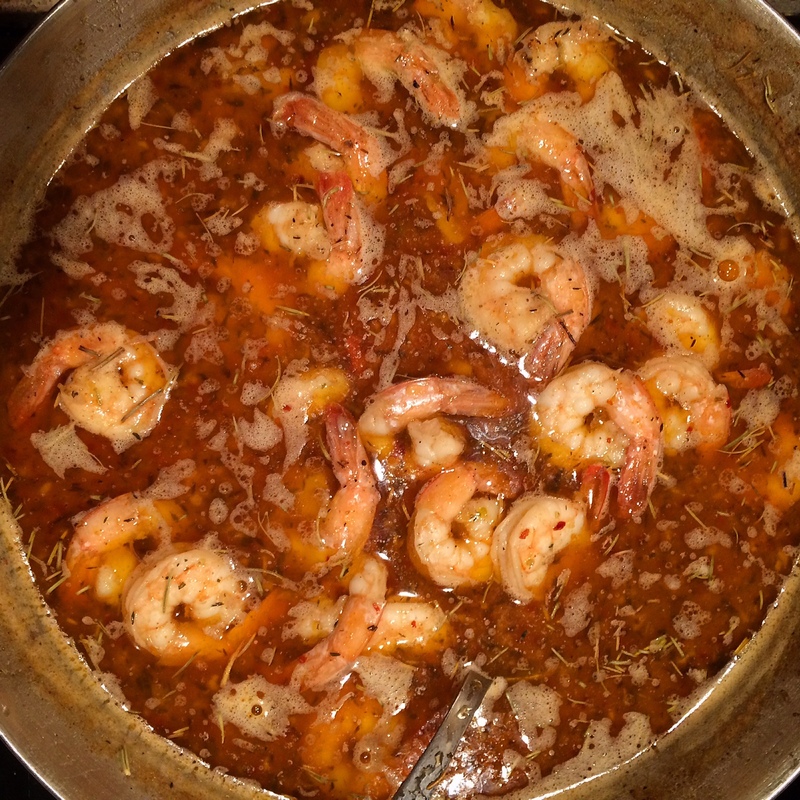 It’s amazing how good this shrimp is – you may want to adjust some of the seasonings if you are not into super spicy stuff, this shrimp is definitely fiery! I think it’s served best with bread for dipping, but I’m tempted to try it over rice, pasta, as a po’boy, in mac n’ cheese…the possibilities are really endless! We were left with some extra sauce, which would be excellent on some grilled corn…You can also freeze the extra sauce and save it for a rainy day! ½ c. beer at room temp (about half a bottle, yay for getting to drink the rest)! In a large saucepan over medium heat, melt the butter. Add the garlic and Worcestershire. Add the oregano, rosemary, cayenne, pepper, and thyme. Stir to combine. Add the shrimp stock (or clam juice) and bring to a simmer. Add shrimp and cook for 2 minutes, shrimp should start to turn opaque. Shake back and forth and cook another 2 minutes…at the last minute add the beer. 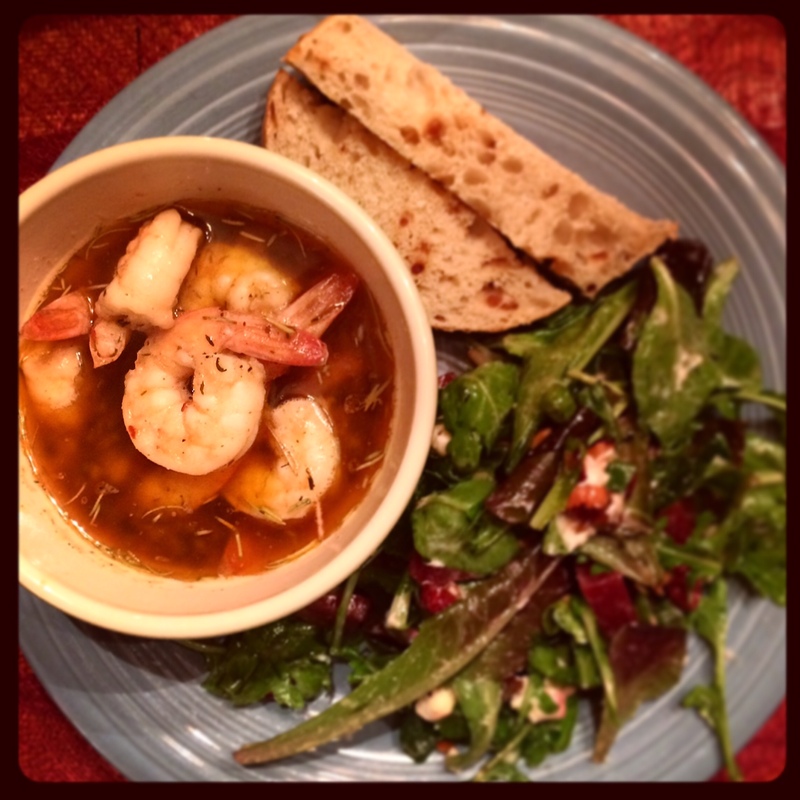 Serve in large bowls with lots of crusty French bread for soaking up the broth. 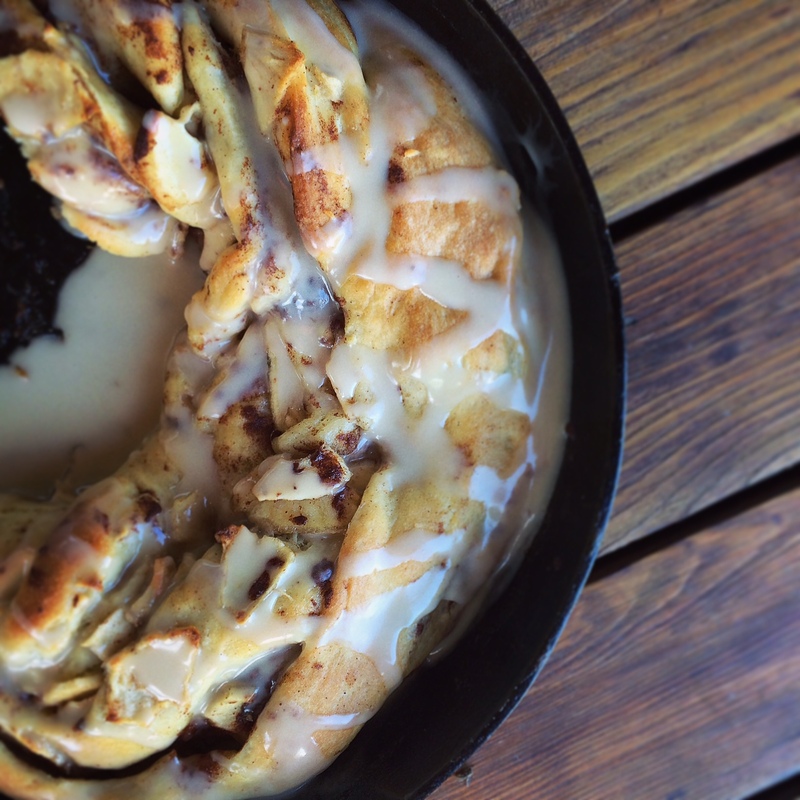 I adapted this cinnamon apple swirl bread from Joy the Baker’s Baking Bootcamp, and boy was it a challenge! But a challenge that yielded a very tasty reward! Last year, I bought my mom the Beekman 1802 Heirloom Cookbook for her birthday. 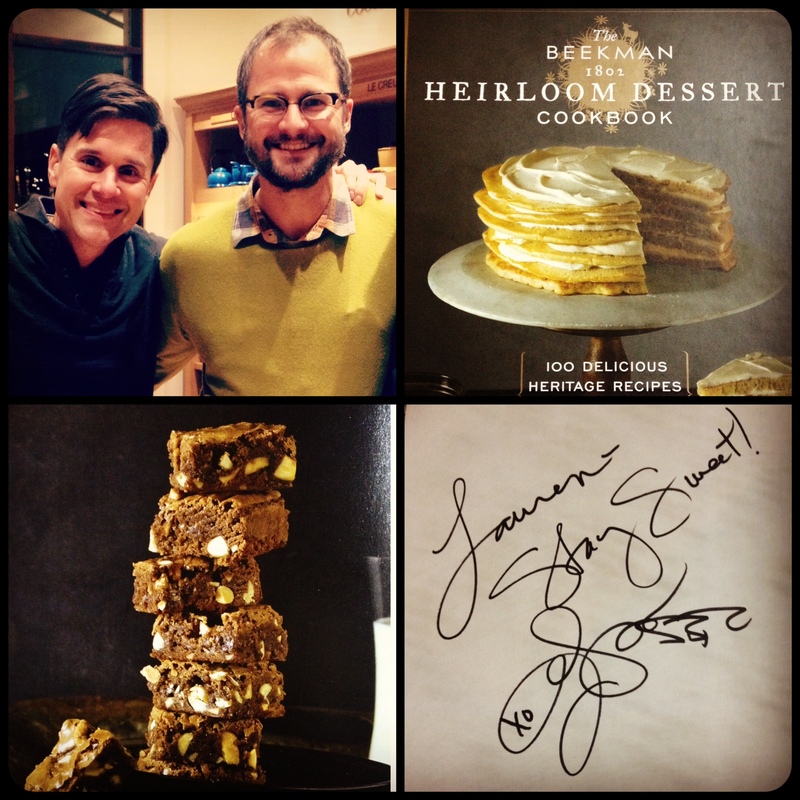 Lo and Behold, a new Heirloom Dessert cookbook is out by the Fabulous Beekman Boys and this year I got to take my mom to their book signing for her birthday! Josh and Brent were so cute and sweet in person. It was great seeing my mom chat with them – she has been a fan forever and has watched their TV Show and their stint on the Amazing Race (which they won). When I started watching the show I realized halfway through that I had read one of Josh’s books, I Am Not Myself These Days. It’s a quick and hilarious read and I recommend it in addition to any of their cookbooks. 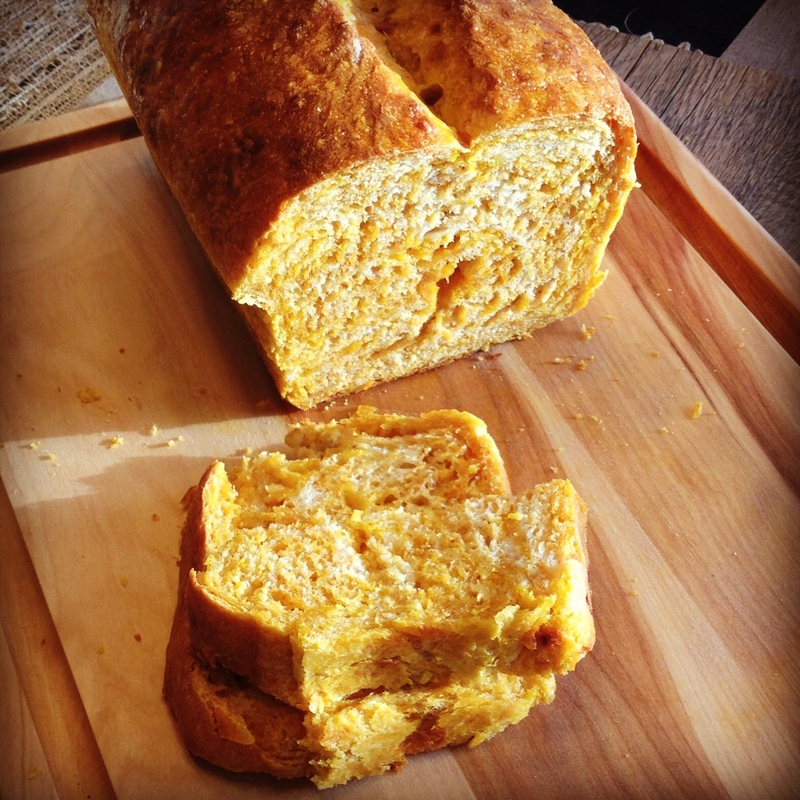 To get ourselves “pumped up” for the book signing, we made the Beekman’s Pumpkin Cheddar Bread. I haven’t made much bread in my life, since any recipe with yeast in it makes me nervous…but after making this I am nervous no more! 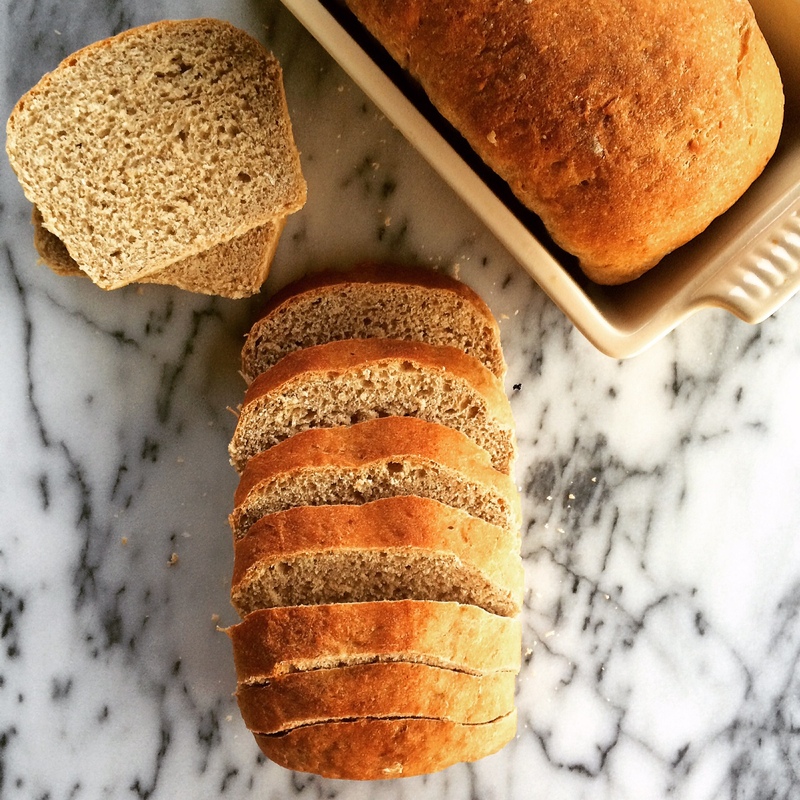 I have found it takes time to make bread…but not much effort if you are going with a classic, timeless recipe. Along with my Pumpkin Soup, I think this bread will become a yearly fall tradition around here! Turn dough out onto a lightly floured surface and knead until it forms a smooth ball. (Add up to 1/4 cup more flour if needed.) Sprinkle a large bowl with flour and add ball of dough, turning to coat. Cover with plastic wrap and refrigerate overnight. 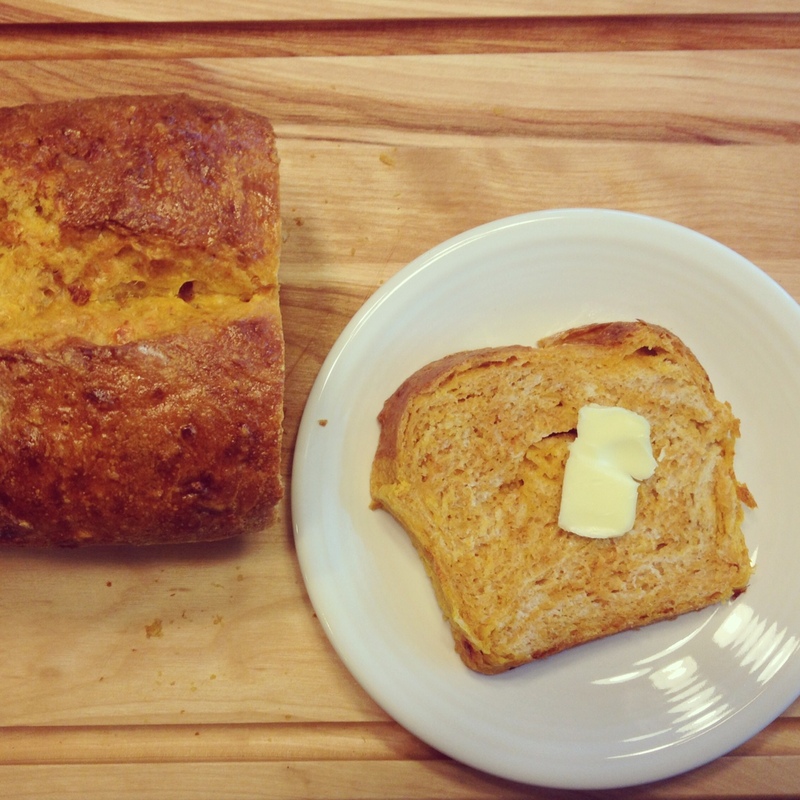 Butter a 9- by 5-inch loaf pan with 1 tablespoon butter. Transfer dough to a lightly floured surface and use hands to flatten to a rectangle, about 9 by 10 inches. Roll dough into a log and place seam-side down in loaf pan. Cover loosely with plastic wrap or a kitchen towel and let rise at room temperature until almost doubled in volume, 1 to 1 1/4 hours. Preheat oven to 375 degrees F. Using a sharp knife, slash loaf down center. 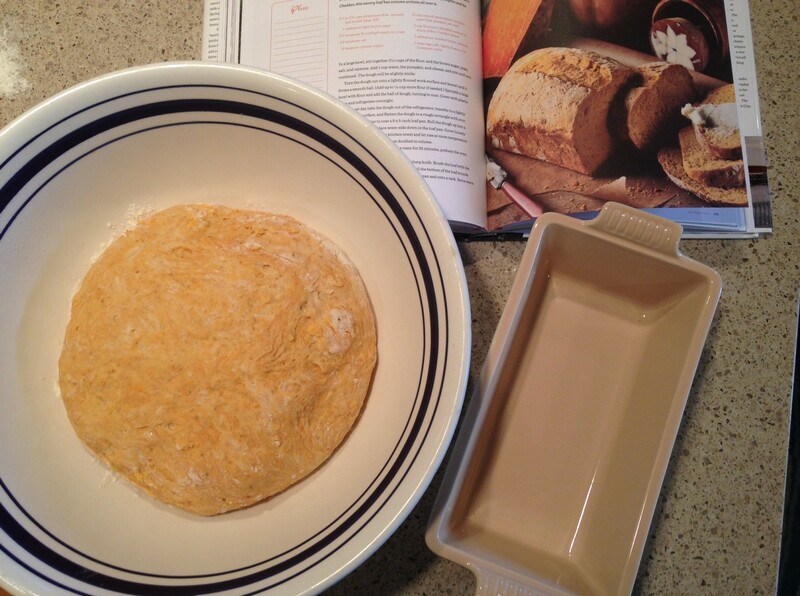 Brush loaf with egg wash. Bake until loaf sounds hollow when tapped, 40 to 50 minutes. Turn out of pan onto a wire rack to cool. 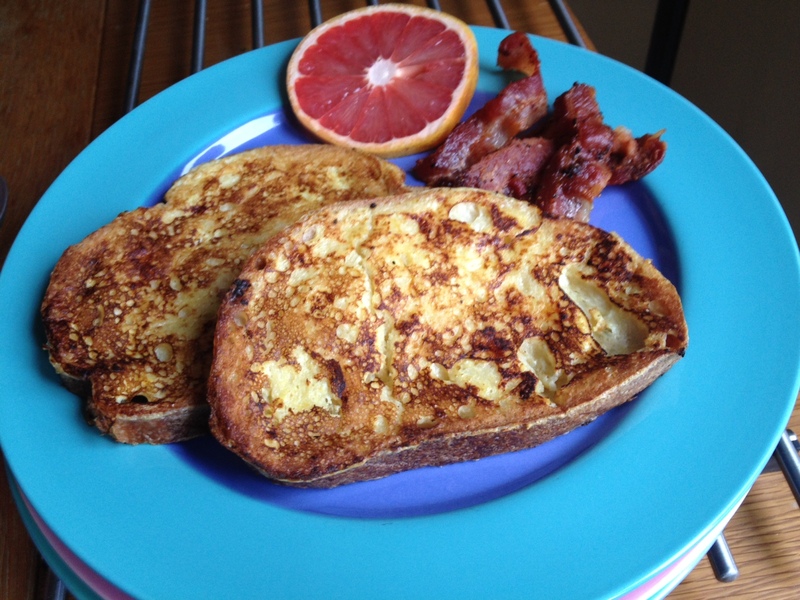 There are a million different kinds of french toast out there, but for me, there’s nothing like the classic. When I have some bread that is getting a bit dry it’s always my excuse to whip up a batch of french toast so it doesn’t go to waste. 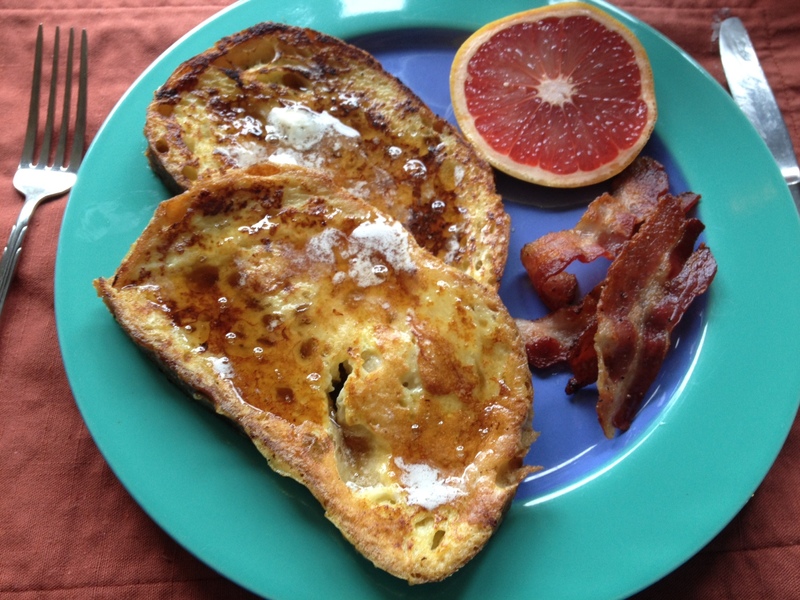 Ina Garten’s Challah French Toast recipe is my go-to for Classic French Toast. It’s easy to adapt the recipe to what you have in the house, this morning I only had grapefruit around, so I used that. I ran out of honey earlier this week, so I used agave nectar. Still amazing! The citrus zest adds the perfect twist, and all I need is a little butter and syrup and I’m in breakfast heaven. Oh, and don’t forget the bacon. Am I the only one who gets offended when a breakfast joint doesn’t include bacon with their french toast? In a large shallow bowl, whisk together the eggs, half-and-half, orange zest, vanilla, honey, and salt. Slice the challah in 3/4-inch thick slices. Soak as many slices in the egg mixture as possible for 5 minutes, turning once. Heat 1 tablespoon butter and 1 tablespoon oil in a very large saute pan over medium heat. Add the soaked bread and cook for 2 to 3 minutes on each side, until nicely browned. Place the cooked French toast on a sheet pan and keep it warm in the oven. Fry the remaining soaked bread slices, adding butter and oil as needed, until it’s all cooked. Serve hot with maple syrup, raspberry preserves, and/or confectioners’ sugar.